Great dish to welcome Donna with, Mairi. This kind of dish epitomises Donna Hay food to me - I just love the way she manages to conjure up a fantastic meal out of just a few fresh and flavourful ingredients, and make it look stunning as well. 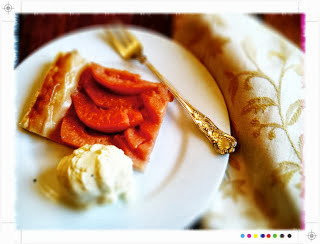 I'm totally envious that you got to sit in the test kitchen with her and eat quince tart - positively green!! Thanks Sue, yes one of the things I lover about Donna Hay is the speed! Tasty dinner on the table in 20! This looks fabulous Mari--I love all of the flavors in it. Killer dish to start out with! I love everything about this dish! I have a feeling we're all going to be eating really well during our time cooking Donna Hay's recipes! That is wonderful that you were able to meet Donna Hay and launch her magazine! That certainly makes this a much more personal experience no doubt. I must admit that I am already in love with her easy and simple approach to recipes. This recipe for sticky black pepper pork is definitely something I would love. It looks rather succulent and mouthwatering. It was fun Kim & I still get every magazine. And yes easy & simple is so good, just so much inspiration. The great flavors of this will work really well with any meat. I have only a few of Donna's magazines but they are gorgeously styled and shot and I always want to make each and every recipe. They do Jamie :) And yes I just adore her styling, so wonderfully clean & simple. I am truly humbled...I thought I was doing so well to have a dozen of her books and have been cooking her recipes for a few years now, but that is nothing compared to meeting her and launching her magazine, wow! Will look forward to seeing all your entries as we move along, this one looks like a real winner to me! Love your additions to it as well. Well helping launch the magazine in NZ - a whole team of people :) And I wish I had more books!! Very cool that you have a personal connection to our new IHCC chef! Donna Hay is completely new to me, but I've already appreciate her food styling. Hi Michelle, I think you will love her....whether sweet savoury baking or whatever a whole world of new recipes for us to discover! Beautiful, Mairi! What a fun 6 months you'll have. 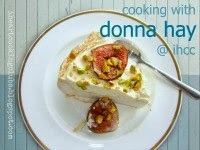 I agree with everything you said about Donna Hay - love her recipes and style and she's always inspiring. Can't wait to see what else you make! Looks lovely and fresh. I seem to be stuck in a beef and chicken repertoire so might need to break out with the pork again! Thanks Lesley, I do the same & then every now & then a little pork fillet will catch my eye, or even better a a roast or pork belly with golden roasted crackling! How exciting to have met Donna. Love her recipes and I just 'met' her about two years ago. 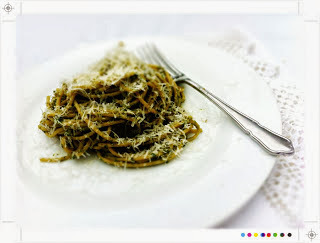 I have tried and tried to do that pasta twirl. I will keep trying. Your dish looks really tasty.